In his short 30 years of life, he accomplished more than some people do in a lifetime. 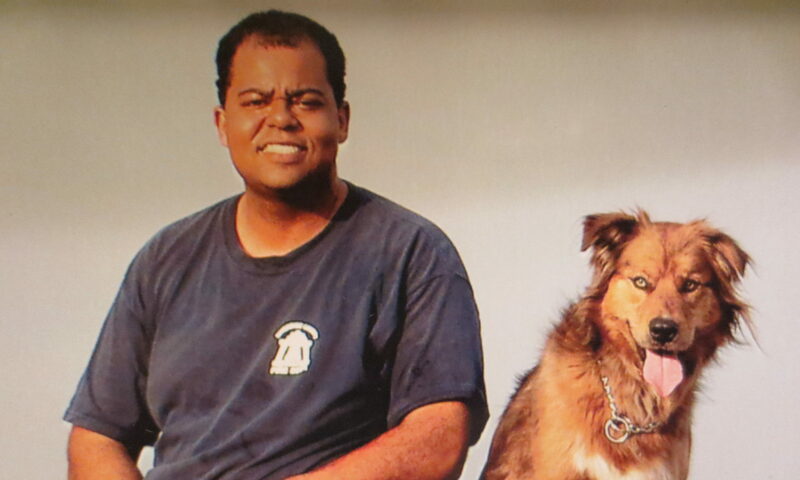 He was named Volunteer of the Year 2004 in our City, managed to get his Private Pilot license and rescued his beloved Cyrus from the pound. His motorcycle, traveling and hanging out with friends was very important to him and even though he lead a very busy life, he was never too busy to spend time with me. I now have 30 years of wonderful memories of times spent together. Dominic was also known to be the most dependable and reliable friend, coworker and also the kind of man every parent would want for a son in law. My sweet son lived life to the fullest and truly enjoyed life as if he knew he wouldn’t be around for a long time. His sense of humor was second to none, his deep and contagious laugh and his photo bombing bug eyes became his trademark. Many people, including me, became victims of his pranks and many stories are still being shared and fondly remembered. Dom’s best prank was one that involved a local Police Officer that helped him pull off the ultimate prank of all times. He arranged for that Officer to pull him over as he was on his way to the airport to go flying with a friend who visited from out of town. The Officer pulled them over and after some questioning of who, what and where, he asked Dominic to step out of the truck and handcuffed him. As poor Tom was about to lose it and pass out, Dominic and the Officer busted out laughing so hard and could barley stand up any longer. This prank and so many others he pulled on unsuspecting friends will always put a huge smile on all of our faces and broken hearts. to live and love to the fullest, cease every moment and most of all, live without regrets. He will never be forgotten and his presence is still felt by many who knew him. I miss my “German Chocolate” son and his great Domhugs.